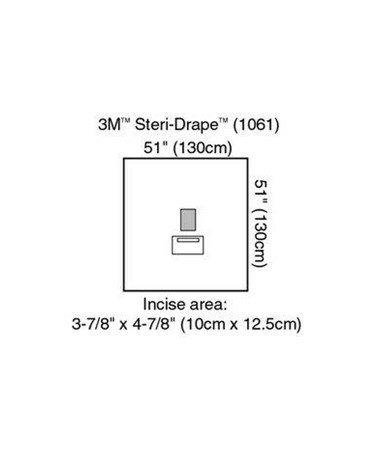 The 3M Steri-Medium Drape with Incise Film 1061 is an ophthalmic surgical drape with incise film. The ophthalmic drapes are available in a variety of sizes with different design features to meet the needs and surgery requirements of ophthalmic surgeons worldwide. This drape features fluid control pouches that help minimize the risk of exposure to healthcare personnel. They also help to maximize OR efficiency by providing fluid control and saving time and money by helping eliminate the need to add a pouch to the drape. Adhesive film isolates the surgical site from lid margins, eyelashes and eyebrows to help reduce the risk of surgical site contamination. 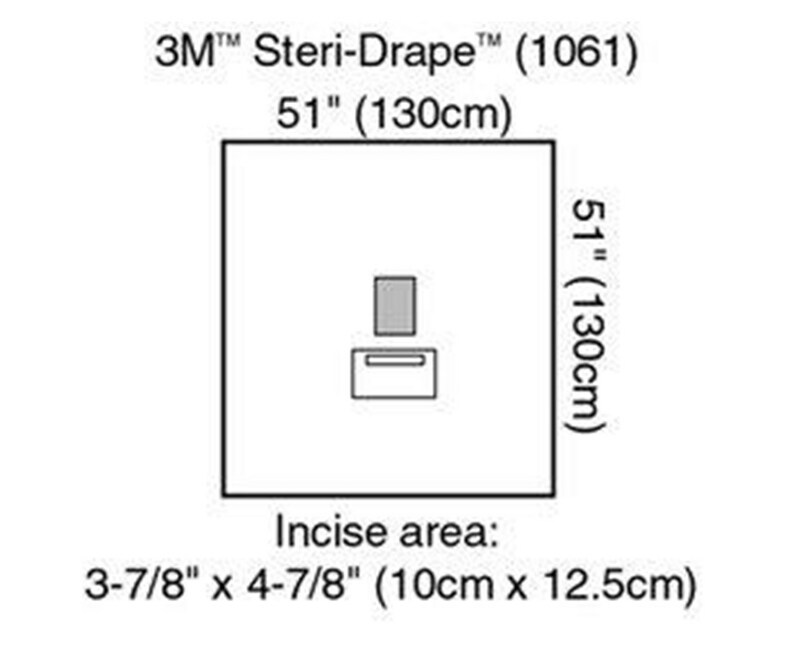 A sterile filed is guaranteed with the reliable adhesive that stays secure.